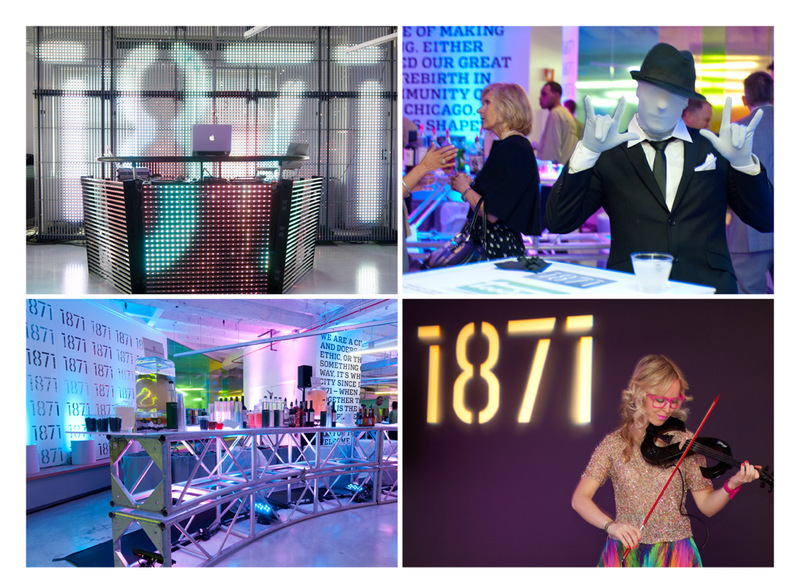 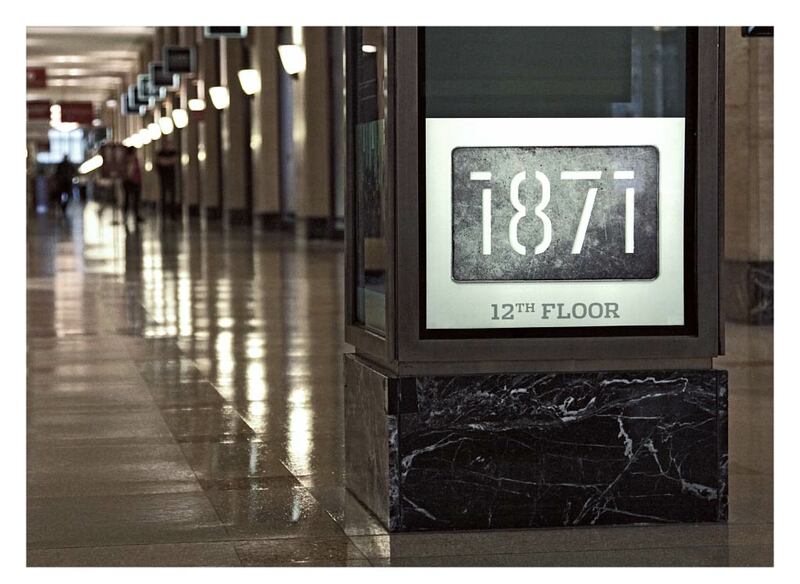 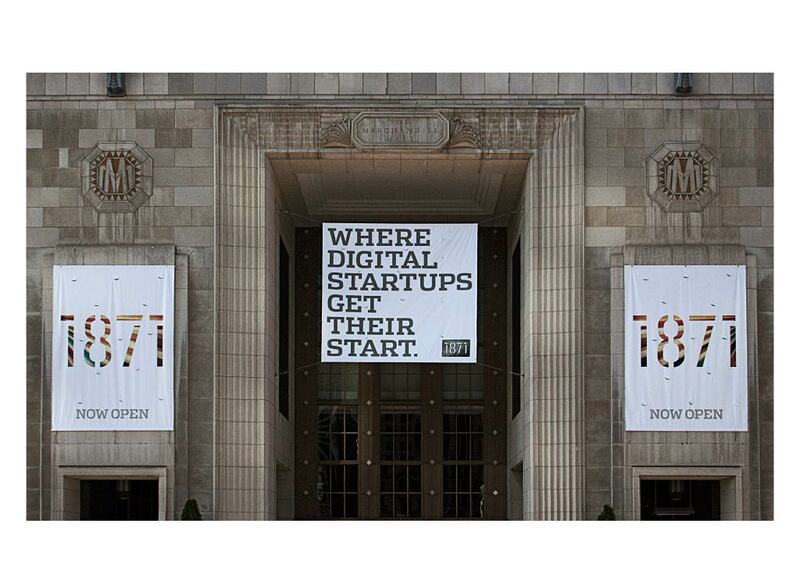 Located in the famed Merchandise Mart, 1871 is a 50,000-square-foot co-working facility that provides Chicago startups with affordable workspace. 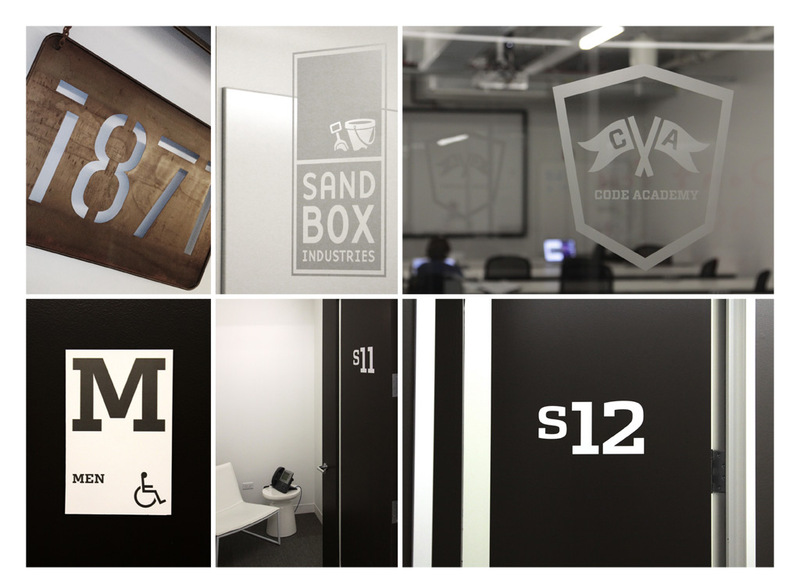 Entrepreneurs, investors, and university-affiliated groups populate this new tech center. 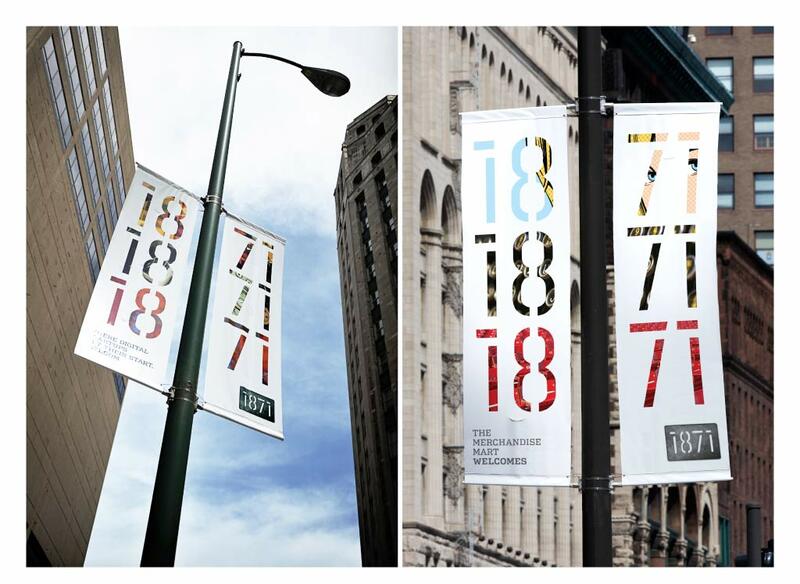 In the fall of 2011, a collaborative effort began between VSA Partners, Galambos + Associates, and Gensler to develop a name and positioning; to create a visual brand; and to build an inspirational space. 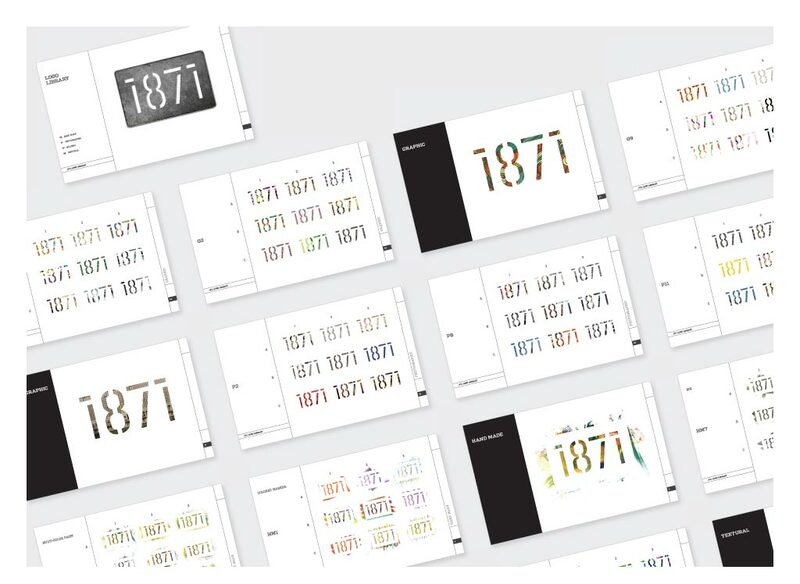 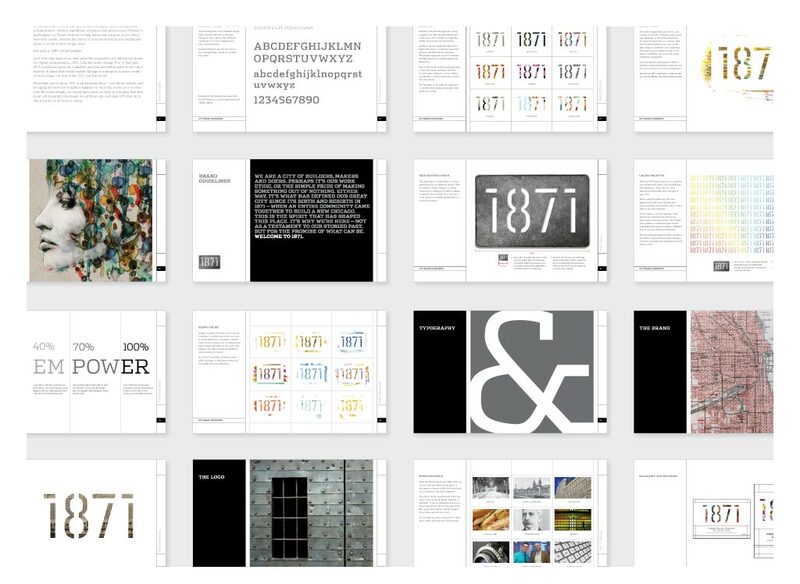 With all three partners invested in the success of the center – Galambos + Associates focused on bringing the ideals of 1871 to life through the visual identity and brand. 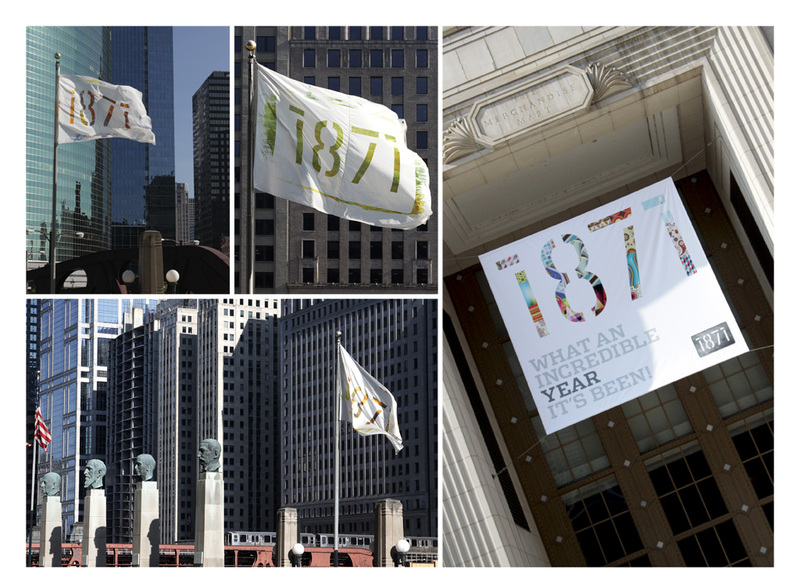 From the beginning, we knew the identity needed to be Chicago-centric; capture the energy and innovation of entrepreneurship; and become an icon the tech community could rally around. 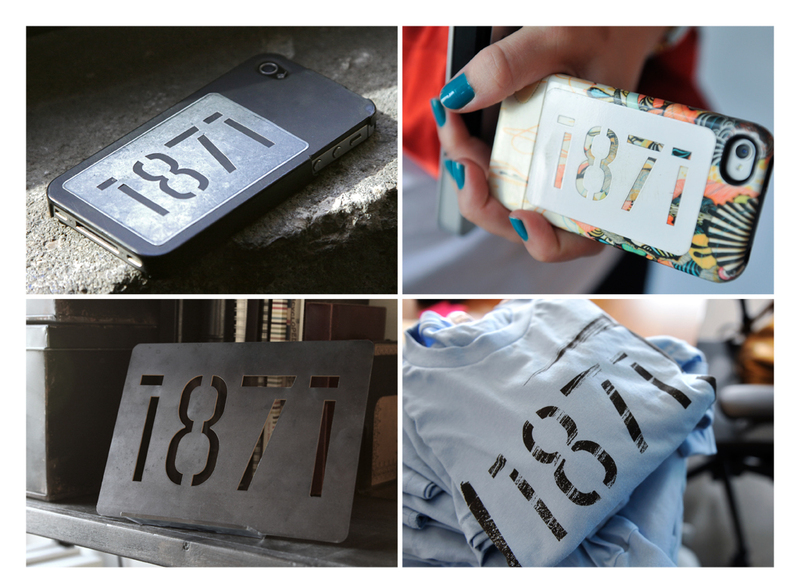 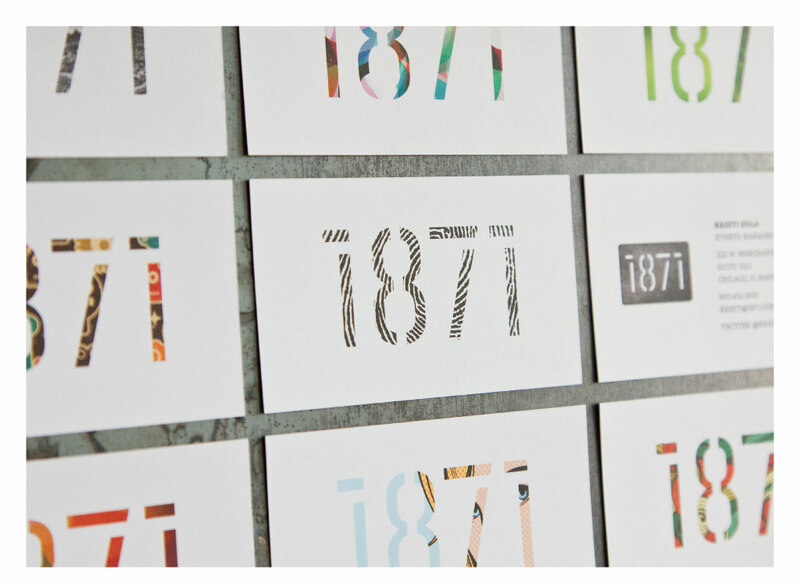 The stencil of 1871 is a living identity we consider to be more of a vehicle for the members to use and claim as their own. 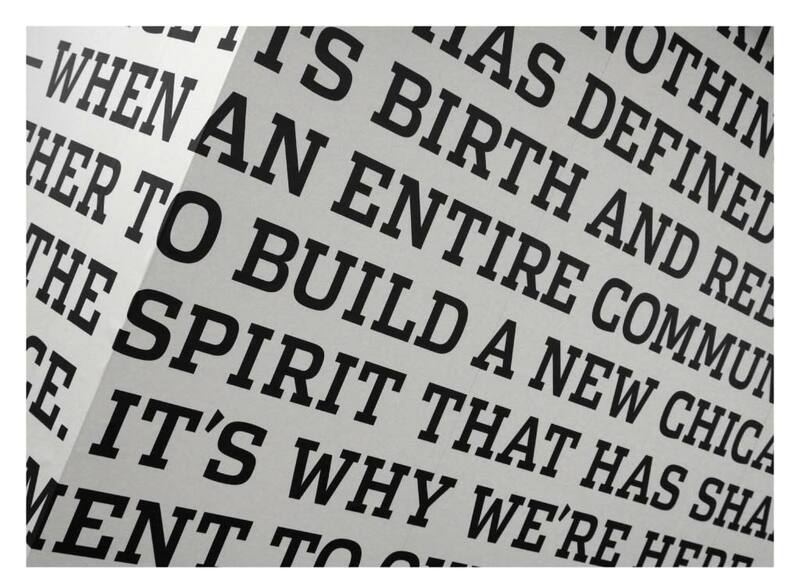 It is a functional identity that will change with the organization – constantly evolving and changing with the individuals involved in years to come – bringing an element of absolute timelessness that allows the identity to live on and adapt with new styles and technologies. 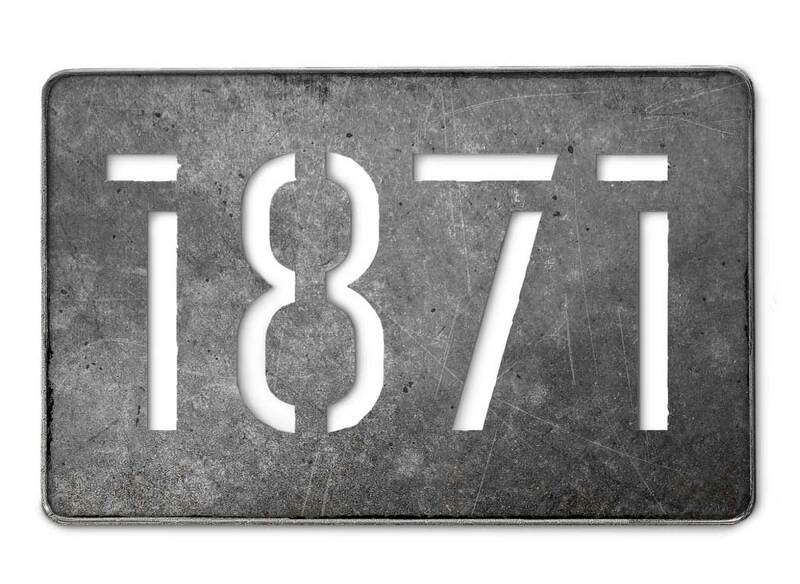 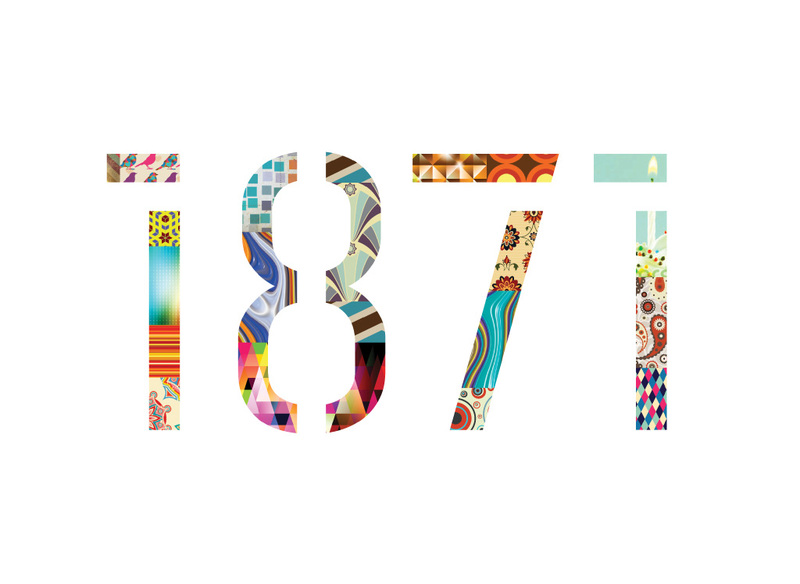 The simplicity of the numerical digits of 1871 are based on the Chicago grid with it’s few unique angled streets and the famous loop. 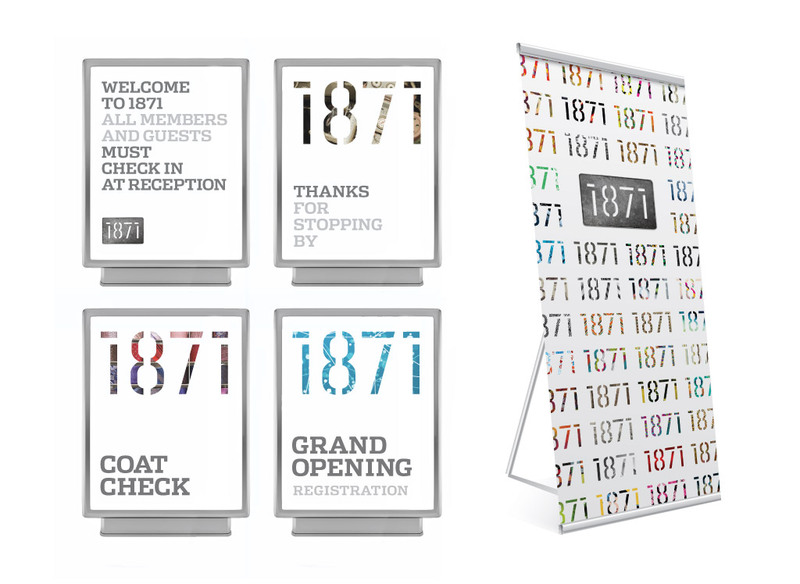 We developed a comprehensive brand program to launch the center, extending across print, environmental, advertising, promotional items, the web and more. 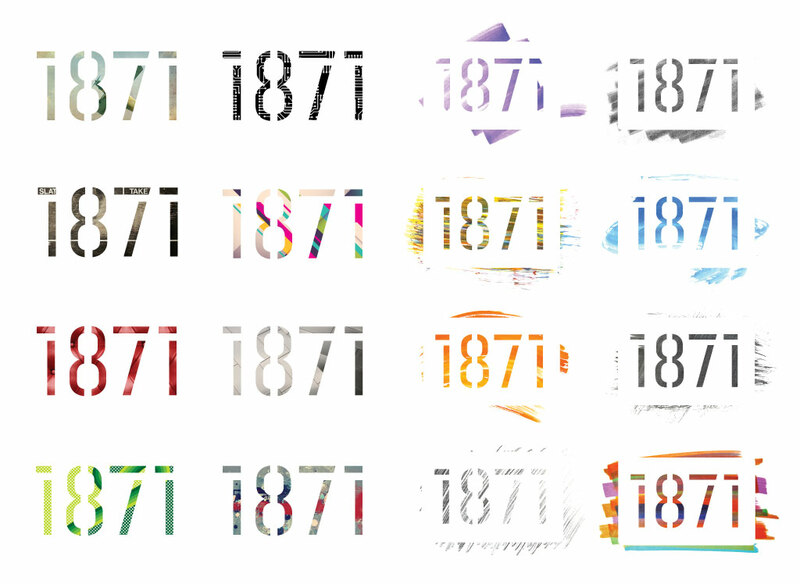 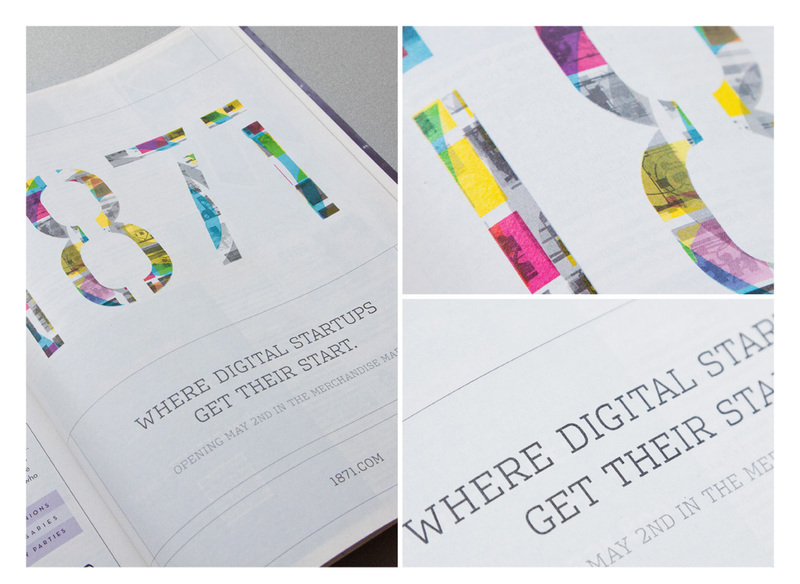 We designed over 800 unique logo treatments, reflecting the diversity of the innovative individuals that occupy this unique space.